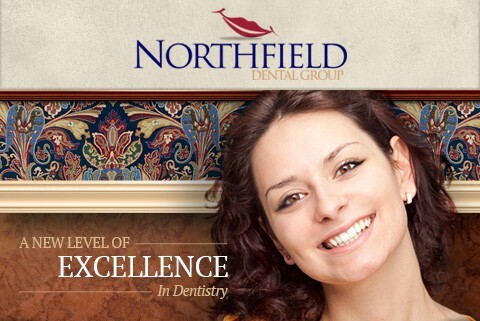 Welcome to Northfield Dental Group, where providing the highest-quality dental care and friendly, informative patient care in a comfortable environment is our top priority. Whether you need routine dental care, sedation dentistry options or cosmetic dentistry, we have you covered. We provide regular dental exams and cleanings, as well as many other general dental services, for both children and adults. For individuals who feel anxious at the dentist, we offer dental care with sedation options. We also offer our patients in Short Hills, Livingston and West Orange cosmetic dentistry treatments, including: dental implants to replace damaged or missing teeth; dentures for patients with a number of missing teeth; porcelain dental veneers to conceal dental imperfections, with natural-looking results; a clear teeth-straightening system; and teeth-whitening treatment to combat surface stains and teeth discoloration, for lighter, brighter teeth. Collectively, our knowledgeable and highly experienced West Orange, NJ dentists have been treating cosmetic dentistry and general dentistry patients for more than two decades. The New Jersey dentists — Drs. Ivan F. Stein, Derek Widmayer and Jeffrey Shapiro — have extensive experience in their field and are considered leaders in their industry. Dr. Stein earned his Doctor of Dental Surgery degree at Georgetown University Dental School. He has spent 20 years researching and treating functional mouth and jaw disorders, including obstructive sleep apnea (OSA) and temporomandibular joint (TMJ) disorder (TMD). Dr. Stein has appeared on such media outlets as CNBC and ABC to discuss his innovations in dentistry, including his FDA-cleared oral appliance for the treatment of OSA. In addition, Dr. Stein has been selected as a “Top Dentist” by an independent panel of more than 6,000 dentists. Dr. Widmayer obtained his Doctor of Dental Medicine degree at the University of Medicine and Dentistry of New Jersey. He is a talented New Jersey cosmetic dentist with a decade of experience. Dr. Widmayer is renowned for his life-like dental restorations, including comprehensive smile-makeover treatment. Dr. Shapiro received his Doctor of Dental Surgery degree from SUNY Stony Brook School of Dental Medicine. He is well versed in the field of general dentistry, having completed a general practice residency at Newark Beth Israel Medical Center. Outside the office, Dr. Shapiro volunteers his dental services through community outreach programs such as the San Lucas Mission, for which he has travelled to San Lucas, Guatemala, to provide dental care to underserved patients. Dr. Jonathan Mendia earned his Doctorate of Dental Medicine from the University of Pittsburgh School of Medicine. He is specially trained to deliver all levels of anesthesia services. Dr. Mendia safely sedates pediatric, special needs and geriatric patients, as well as anxious or dental phobic adults, providing a comfortable environment for both the patient and dentist. Our experienced dentists are also committed to making sure our patients are informed about their various dental treatment options. At Northfield Dental Group, we believe that thorough patient education is the foundation that allows our patients to make informed decisions about which dental treatment to pursue. We offer a host of educational resources for our patients, which include topics such as how oral piercings affect oral health and the benefits of fluoride. At Northfield Dental Group, we value our patients’ safety. We take every precaution available to help our patients stay safe while receiving dental treatment. For instance, we never use mercury amalgams, or silver fillings. We also limit your exposure to radiation and use alternative diagnostic methods whenever possible. We realize that delivering excellent dentistry results does not mean anything if we fail to keep our patients safe. If you are tired of dentists who do not explain your treatment options and rush through your treatments, it’s time to give us a call and discover a new level of excellence in dentistry. Whether you require general dental care with sedation options, emergency dentistry, cosmetic dentistry or one of our other treatment options, we can satisfy all your dentistry needs at Northfield Dental Group. To schedule an appointment with a leading West Orange dentist, please contact Northfield Dental Group by calling (973) 736-0111 today.